A compilation of good reference books for all things Tanks - Paint, Tactics, Personalities, Production etc. all in one thread, I have seen people mention good source books in various threads and having them compiled in one would be useful I think. Lets keep this on topic and no hijacking, a brief thought on a book you recommend would be great. 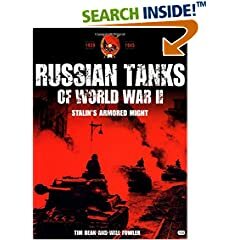 Covers a broad range of tanks with most attention to the T-34 and then the KV-1. It covers manufacturing and design details and some historical use. It contains plenty of pictures and line drawings. Overall a nice $20 reference book to soviet armour. Its nice to sometimes model a tank after a specific historical tank, such as Wittmann's Tiger I or Early's Pershing. The people covered are Franz Bake, Hermman Bix, Rudolf von Ribbentrop, Hans Bolter, Michael Wittman and Albert Ernst. If your looking for technical drawings, maps or lots of pictures then this isn't your book. It is a great book to read stories from real tankers though and get first hand stories of what life was like on the front lines. I've got this one and I agree its very good. This is a must for US armor. 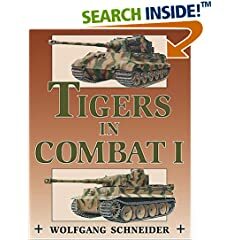 I recommend both "Tigers in combat" Vol I and II for those of you who have Tiger I and II's. I like the Squadron Signal books as well particularly the one on the Pz IV as that's my latest project. To me, it's always nice to model a tank after a specific tank in history. BEST GENERAL MODELING BOOK I HAVE IS F.A.Q. (FREQ. ASKED QUESTIONS) BY MIG JIMENEZ GREAT BOOK ON TIPS FOR WEATHERING, PAINTING, ETC. I have the same book. It's nice and thick with tons of color photos showing the various weathering techniques. A nice book to have for those thinking about working on the HL PzIII. You can never have too many books on tanks. Yep, great book with tons of color photos. Didn't know I have it in my pile. I really need to get a bookcase. Pictures and details of the units are incredible for the price - just $19 including shipping from Amazon. Unless your a fan of Rommel or need to access the sparse information on this division its probably not worth the $29. Its a collection of pictures from private collections from the surviving members of the 7th along with snippets of info in german with a shorter english translation. I'd like to hear from a german speaking reader if the english is as short changed as it seems. The life and times of this Canadian armoured regiment, great narratives of the people and actions, some pictures and colored plates. 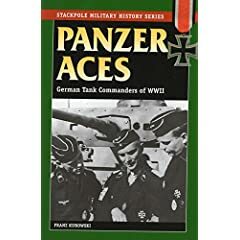 $37 from Amazon was the best price I could find and with the great information and stories it was well worth it for me but if your looking for something with more pictures or details along the lines of Tigers in Combat you may want to pass. Here's one that I done see in here. I used the Osprey book for my Tiger 1, it could do with more colour pics though. Made this thread a sticky. Thanks for making this thread sticky ! [link=http://www.myallbooks.com/index.php?name=News&topic=2&startnum=1]Free Download of Books ! [/link] - a lot of the mentioned are there for free ! 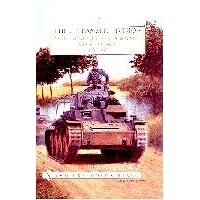 This is a fantastic book for all who are interested in the Tiger I and Tiger II of the "LSSAH - Leibstandarte"
A good read about an obscure topic, if you ever wondered why a country like Italy would enter a war unprepared this provides some answers, particularly from the armoured prospective. It also discusses some battles, commentary on Italian soldier performance, tank design, production handicaps etc. Its not rich in photos but does have some B&W's. I have tried to download the "free"books but all files are rar and password protected. Anybody know passwords or how to download them for free? its listed when you try to download its something like "megamag" or "megamag.com"